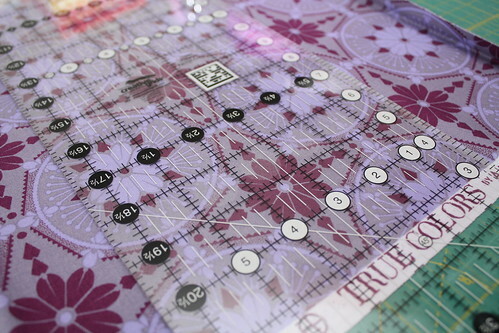 Creative Grids rulers - You really can't go wrong with these rulers. They grip your fabric so nicely, and the lines are really crisp. I sure would love to get a 6 1/2" Quilting Ruler , as I have most of the larger square sizes and I already have my most favorite ruler size, the 6 1/2" x 24 1/2". Aurifil - Santa, every quilter needs some Aurifil in her life! I'm a huge fan of the 50 wt (orange cone) for pretty much all things quilty. It would be fun to get a few fun colors of thread in one's stocking! Graph paper - While I love using EQ, I do still love graph paper, and graph paper notebooks are a lot of fun to have around for doodling. 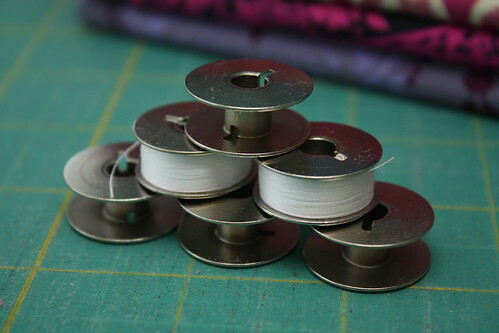 Extra bobbins - I've been meaning to buy some extra bobbins for my Juki since I bought the darned thing, and I keep forgetting, so they sure would be nice. 505 Basting Spray - Can't live without this stuff. I actually tried to pin baste a quilt earlier this year, because I was low on spray, thinking it couldn't be that bad and that surely I could do it. Um, no. I gave up and went out and bought a can of spray baste! 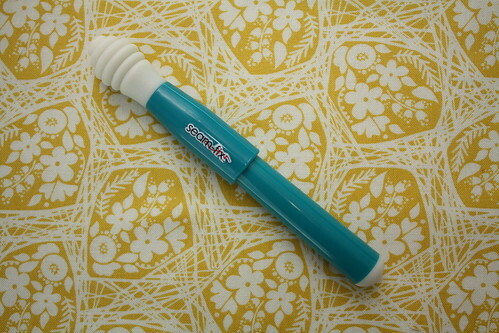 Seam Fix - I love a good seam ripper, and I think I've found my most favorite one to date, the Seam Fix . It's a seam ripper that has a bit of an eraser-like feature to it, to help grab all those tiny fiddly pieces of thread that you leave behind when you rip out a seam. It's fantastic, but seam rippers don't last forever, Santa. Plus, you know how prone I am to losing things! A backup would be good. 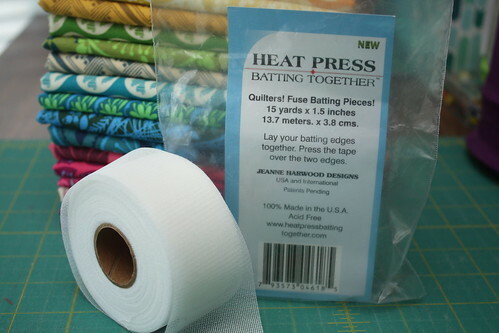 Batting Tape - Santa, you've seen me baste quilts - there's always leftover batting, right? I love using batting tape to fuse leftover chunks together into a big piece of Franken-batting! This stuff comes on a pretty big roll, but it goes quickly, so an extra roll or two would be handy. Just steer clear of the black rolls, because I've never used black batting, okay? Tell me, friends, what are some of your favorite small quilty things? Are there any notions that you just cannot live without that you love to tell others about? When I teach, talking about notions is one of my favorite things to do after class, to compare notes and to learn about other notions I might never have tried otherwise, like that Seam Fix seam ripper. And don't forget, today is the last day of the 2013/2014 combo deal for the Lucky Stars BOM!! I hope you have a great Friday and a wonderful weekend!